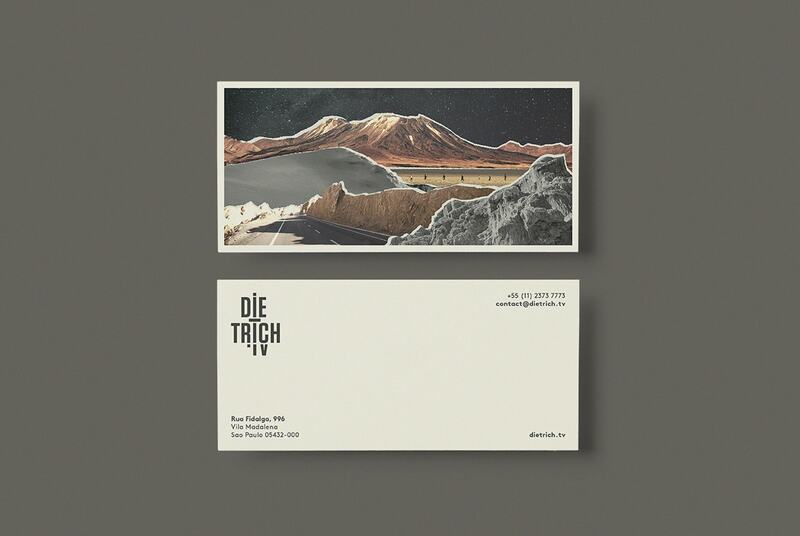 Dietrich.tv is a post-production studio based in São Paulo, Brazil. From fashion to real life, they love image making and focus their work on bringing motion image to a new level, either developing special content for brand our applying their creativity to post-production. 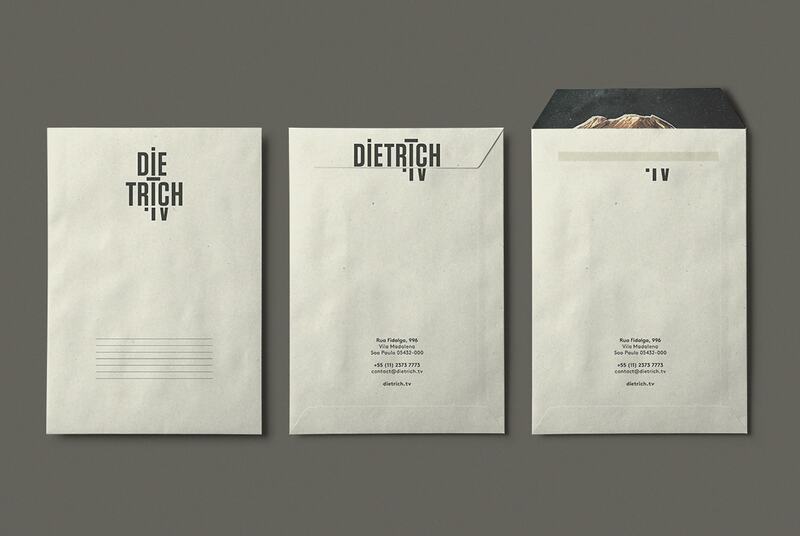 Dietrich.tv has collaborated with names such as Le Bon Marché, Harper’s Bazaar, Riachuelo and Heineken. 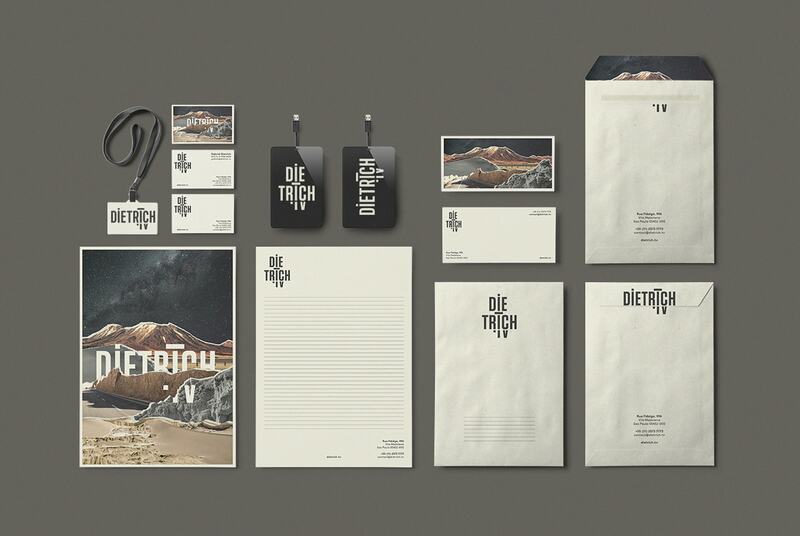 After years working with motion films and post-production, the studio now expanded their field of activity that asked for a re-brand. They already had a cool blue monotone identity based on the cold war space race and its graphic elements but needed a sober and classer signature that could picture this new stage of their career. 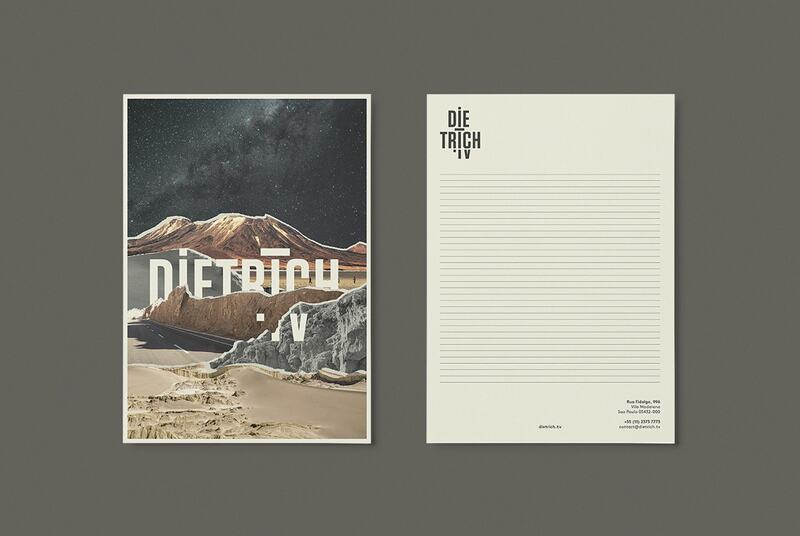 The sci-fi galactic references remained but were joined by the german constructivist aesthetics such as collages and bold vertical type. 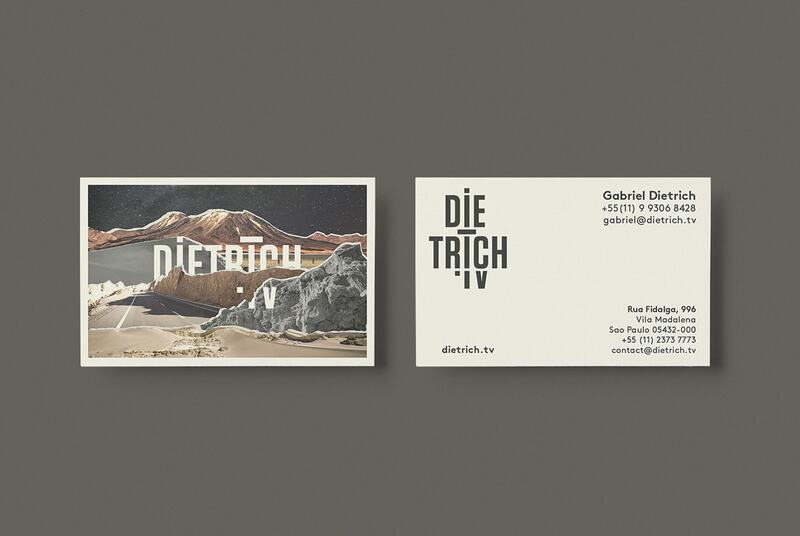 The logo is made by the superposition of “dietrich” over “tv”, giving the brutal constructivist vibe. A collage made with pictures shot by the studio in latin america alludes to a spacial scene that can be found in our dreams (or in sci-fi movies).